Marilou Craft - anti-racist activist, artist and writer who was the first to publish a critique of Robert Lepage's SLAV. Touhami Rachid Raffa - Algerian-Canadian jurist and ex-president of the Islamic Cultural Centre of Quebec City, where the Quebec Mosque shooting took place in 2017. Hosted by Yasmin Jiwani - a feminist academic and activist whose work examines media representations of racialized peoples. 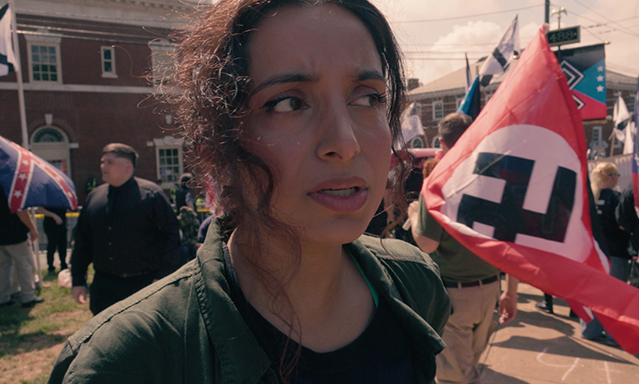 In this Emmy-winning documentary, acclaimed Muslim filmmaker Deeyah Khan meets U.S. neo-Nazis and white nationalists, including Richard Spencer, face to face. She attends the now-infamous Unite the Right rally in Charlottesville and seeks to understand the personal and political motivations behind the resurgence of far-right extremism in the U.S. Deeyah's safety is jeopardized while she attempts to discover new possibilities for connection and solutions, and her film is an urgent, resonant and personal look at race wars in America.